NPR correspondent Nina Totenberg has reclaimed the long lost Stradivarius violin that once belonged to her virtuoso father, the culmination of a decades-long mystery. The extraordinary story was reported Thursday morning by Totenberg, NPR's legal affairs correspondent and the eldest daughter of the late violinist Roman Totenberg. Roman's Stradivarius violin, called the "Ames," was stolen after a concert in 1980. The instrument, which was named after its 19th century owner, violinist George Ames, was made in 1734 by the celebrated Antonio Stradivari. Stradivari's violins are rare, often fetching millions of dollars at auctions. In a story that aired on NPR's "Morning Edition," Nina Totenberg said that the violin's disappearance was a "crushing loss" for her father, who had played the instrument for decades throughout the world. She said that he always suspected it had been stolen by a much younger violinist named Phillip Johnson, who died in 2011, a year before Roman Totenberg passed. Earlier this year, Johnson's ex-wife and boyfriend found an old violin case that her husband had left her. After breaking the case's combination lock, they spotted a label on the violin indicating it had been made by Stradivari in 1734. That doesn't necessarily confirm the instrument's value though. As Nina Totenberg put it, there are only about 550 Stradivarius violins in existence, but there are "thousands and thousands of violins that have a Stradivarius label stamped inside them." 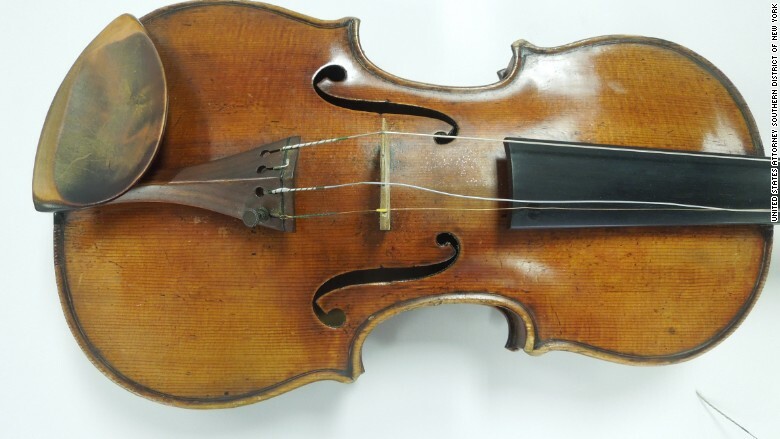 Photos of the violin were sent to appraiser Phillip Injeian, who checked a registry of Stradivarius violins and was able to zero on those made in 1734. The list of violins made that year included a notation that one belonging to Roman Totenberg. In late June, Johnson's ex-wife met with Injeian, who told her he had good news and bad news. "The good news is that this is a Stradivarius," Injeian said. "The bad news is it was stolen 35, 36 years ago from Roman Totenberg." Injeian promptly informed the FBI. 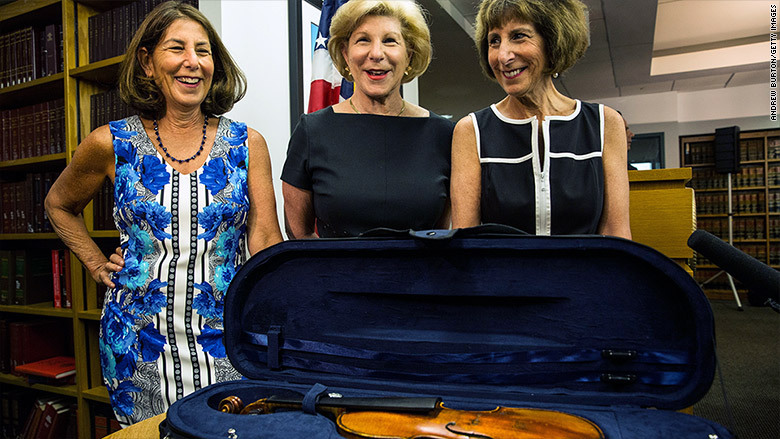 Nina Totenberg and her sisters received the violin at a ceremony Thursday at the U.S. attorney's office in New York. Manhattan U.S. Attorney Prett Bharara hailed the discovery as a "remarkable story of a quick-witted violin appraiser who recognized the long-lost Ames Stradivarius and immediately called law enforcement." Injeian said it was a "real miracle" that the violin managed to avoid significant damage, given that Johnson hadn't performed proper maintenance on the instrument. Totenberg said that she and her sisters will sell the Stradivarius to "make sure it is in the hands of another virtuoso violinist." "And once again, the beautiful, brilliant and throaty voice of that long-stilled violin will thrill audiences in concert halls around the world," she said.